It’s almost Samhain, also known as All Hallows Eve, also known as Halloween. It falls on the 31st of October each year and is said to be the day when the veil that separates the living world and the world beyond is at its thinnest. In the pre-Christian Celtic festival of Samhain, Celts would gather together to light bonfires and pay homage to the dead, often dressing up to deter any malevolent spirits from their grounds. Today, the more modern practices of Halloween involve trick-or-treating for candy, watching horror films, or attending costume parties. Historical or present-day rituals aside, anyone that’s interested in modern spiritualism might consider this upcoming Halloweekend the perfect time to give a new ritual — like tarot, smudging or crystal meditation — a try. To help point you in the right direction, I’ve rounded up a few of my favorite higher power product shops and the don’t-miss items behind their doors. This is, without question, one of my must-visit shops for incense, carved ritual candles, and learning about various magical practices. 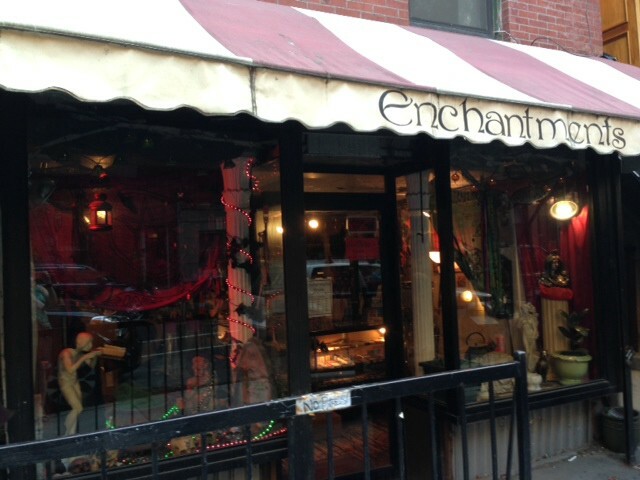 Opened in 1982, Enchantments is the oldest occult store in New York City — it’s located in the East Village — and the staff is nothing if not knowledgeable about the products they stock and their uses. Custom candles are carved on consultation to help find an appropriate combination of oils and carvings for a successful ritual, and an in-house apothecary boasts over 100 blended oils, dozens of different powdered incenses, and almost 200 herbs and resins that are mixed purposefully per each customer’s needs. Beyond their customization and readiness to help new and advanced practitioners alike, Enchantments carries a selection of books on all sorts of occult subjects, and it holds educational workshops for further discovery. Don’t miss: Custom candle carving. If there’s anything you’re hoping to usher into your life — financial successes, improved romantic life, removal of toxic friendships, chakra healing, etc. — then a custom carved candle is the way to go. The Enchantments staff will customize your 7-day taper candle with your name, zodiac sign or other appropriate symbols, oils, and incense in a perfect combination to help your intentions to manifest themselves. If crystal healing piques your interest, then Stick Stone & Bone is the shop for you. 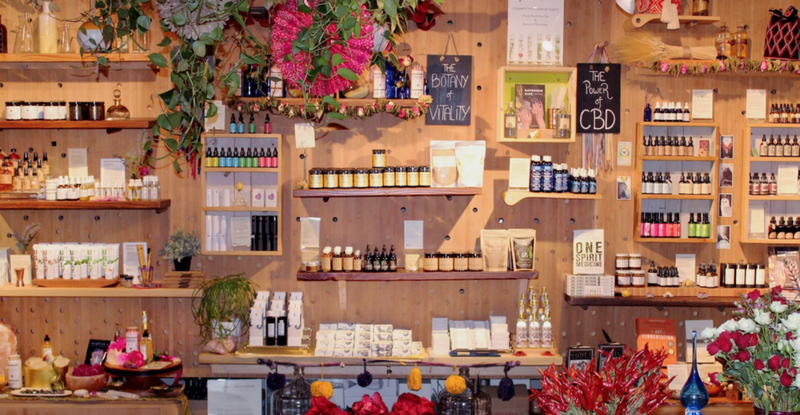 It’s been a West Village staple since 1990 when it opened with the intention of serving the community and helping them to connect with and relate to nature, higher spiritual powers and oneself on a more holistic level. Stick Stone & Bone is rooted distinctly in Cherokee and Aztec traditions thanks to co-founder Yolanda Miller’s personal background and she, alongside her counterpart Linda Curti, work to maintain authenticity in all of their wares. The pair are avid gemstone and crystal collectors so to say that the store offered a fair selection would be an understatement. Accompanying these stones on shelves are incenses and smudge sticks of different kinds, Native American crafts and shamanic tools to help deepen your practice. Don’t miss: The selection of crystals. 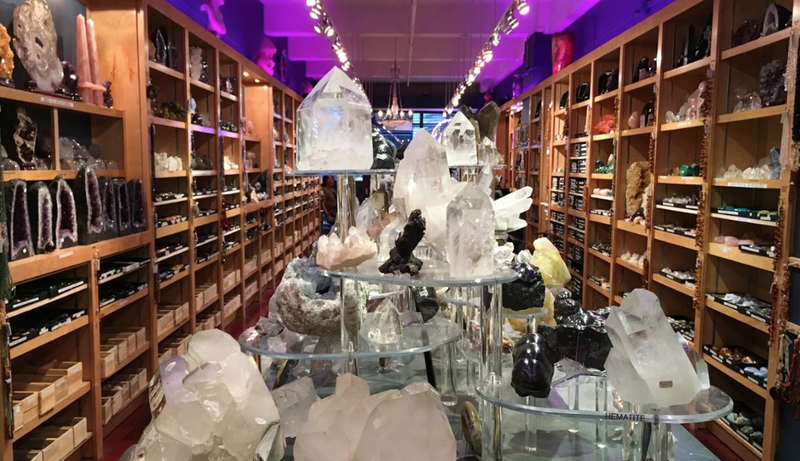 Take the time to truly explore the energies of the crystals in this store — choose ones that appeal to you on sight and hold them to see if their energies are pleasing. Close your eyes if you like and let your instinct lead. Crystals make a great addition to an at-home altar for meditation, mindfulness or ritual practices. An alternative crystal wonderland, Rockstar Crystals offers a floor-to-ceiling selection of crystal and mineral specimens in all shapes and sizes. 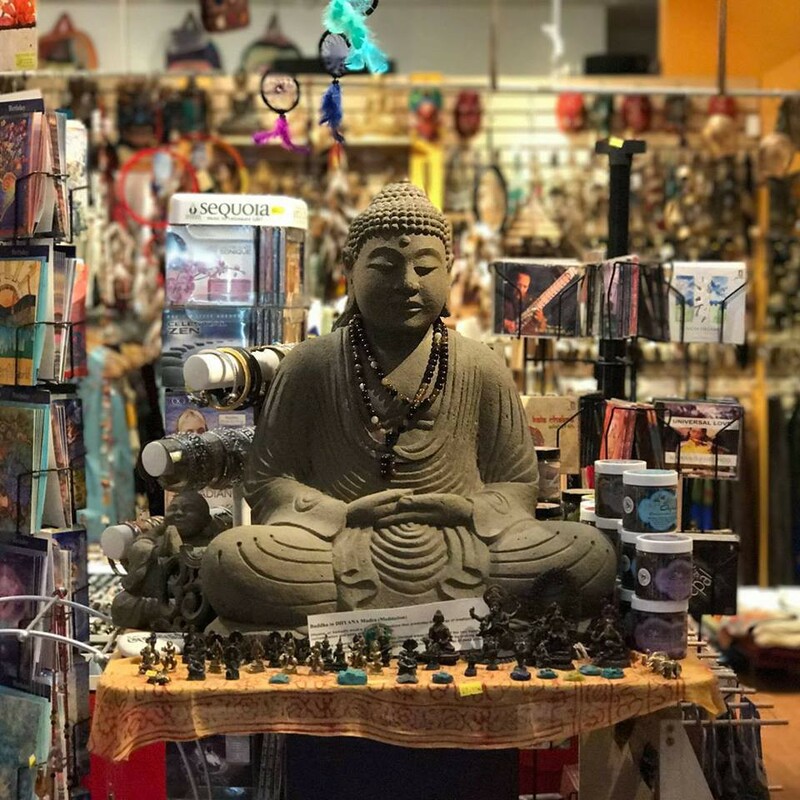 Located in the Chelsea Gallery District, Rockstar Crystals is a metaphysical shop that specializes in crystal healing, gemstone healing, chakra stones, crystals for feng shui, crystals for reiki and more. Here, you can also pick up books on crystal energies and aura sprays. Don’t miss: Unique crystals, minerals, and fossils. This shop differs from others purely in the vastness of its selection. Crystals on display are constantly rotating and the shop is home to over 160 different crystals, minerals, and fossil specimens at any given time. If you’d like a reminder to keep spiritualist practice and mindfulness at the front and center of your home, here’s the shop to find a big, beautiful piece to do just that. Don’t miss: The tinctures and potions for healing. Amongst so many other things, The Alchemist’s Kitchen offers a massive range of tinctures and products to help increase focus, heighten energy, relax, alleviate allergies, calm gut trouble, and more. They also happen to stock my absolute favorite divination decks by The Wild Unknown. For Brooklynites, Om Gift Shop in Park Slope is the perfect one-stop-shop for anything mind, body, or soul. The offerings here are rooted more in Eastern than Western traditions with products like Tibetan singing bowls and chakra healing tools. Wearable crystal jewelry and tarot cards are also prominently stocked alongside soothing CDs, books on karma, and centering candles. Don’t miss: Your chance to balance your chakras. Om Gift Shop carries plenty of tools to help you discover your energies, and the education to help you learn more about what keeps them in alignment. Regardless of which vein of modern spirituality you find yourself curious about, there’s no right or wrong time to give any of them a try. Simply let your intuition be your guide. After all, that’s what it’s all about. If you start any spiritualist practices this Halloween, let us know! Share your thoughts with us by tweeting @nooklyn, reaching out on Facebook or finding us on Instagram @nooklyn.stories!